An introduction. Part 1 of the series. The Rhône has always been a subject of great fascination for me because of my love for Syrah and Grenache as grape varietals and also that the wines of the South has had a long history with ancient grape varieties that originated from the Middle-east. I can think of no other region in France that has such diversity in grape varieties and except maybe in Languedoc-Roussillon. Bordeaux may be well-known for its wines but the roots of winemaking originate from the Mediterranean. During the 18th and 19th century, Bordeaux used to blend wines from Hermitage with those in Bordeaux to give the wines more structure and riper aromas. It is difficult to generalise what Rhône wines should taste like. Climatic differences between the North and South are tremendous. 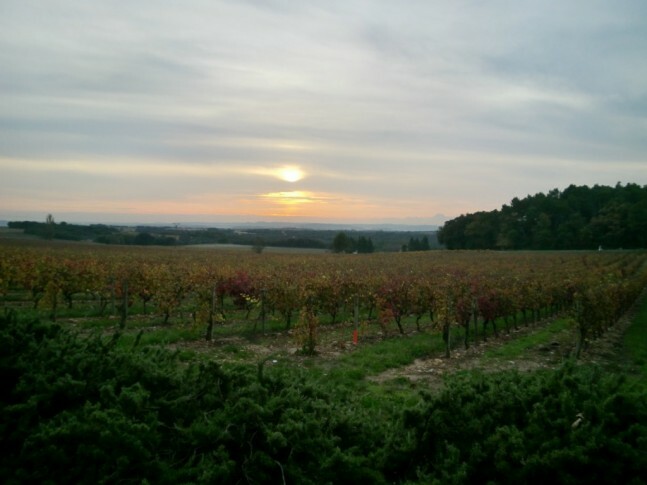 The northern part is made up of a line of Appellations running below the city of Lyon where we have AOCs like Côte-Rotie, Condrieu, and Hermitage. There is quite a way to travel down south (over 2 hours) before we hit the town of Orange and city of Avignon where AOCs like Châteaunuef-du-Pape (CDP), Muscat Beaume de Venise and Gigondas are located. It is much colder up north than the south and also more continental. Being much colder, we see less varieties being grown in the north. Certain grapes like Syrah, Viognier, Rousanne and Marsanne are able to thrive in the north. These grapes will survive better than the grape varieties of the where more warmth and sun are needed to ripen the grapes. As one takes the train down from Lyon to Avignon, vineyards on terraced slopes are evident everywhere. The soils are quite visibly different as you travel down the Northern Rhône. At St-Joseph AOC, basalt and granite can be found. Then, there are also Hermitage AOC and Crozes-Hermitage AOC, which is the back hill of Hermitage. The soils of Hermitage are basalt and granite as well. The Rhône River once ran through the granite soils of Hermitage and it is still a mystery to this day as to why the river did not carry the granite away with it. 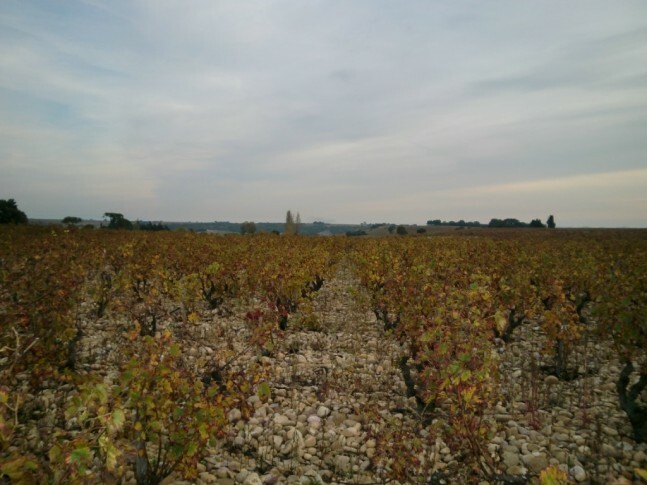 With Crozes-Hermitage, the soils are alluvial, with pebbly soil, galet (huge rounded pebbles), and small plots of chalk and sand. It is the biggest AOC in the North with 1100 hectares. Unfortunately, I have given Northern Rhône a miss this time around due to time constraints. The climate of the Rhône is noticeably different from the North of France. Here, everywhere is full of green trees and sunshine. Herbs like rosemary and thyme grow wildly. In summer, you get to see the lavenders growing; I can understand why Van Gogh came here with the inspiration to paint. Grenache and Mourvèdre originated from Spain (Aramon for Grenache) before coming to the Rhône. 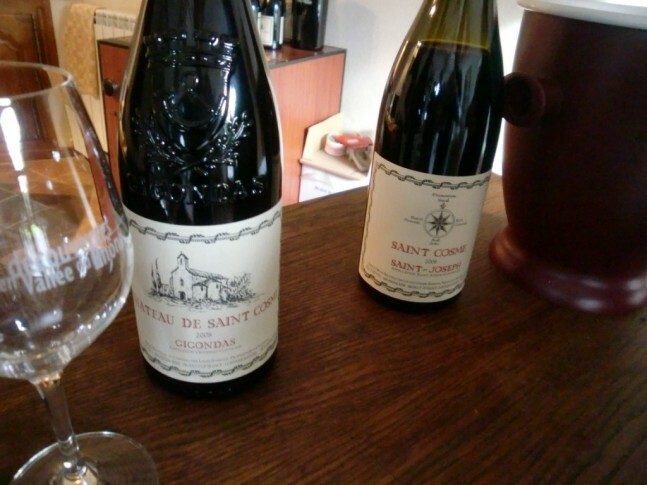 In my opinion, the star of the southern Rhône is Grenache. Not only is the grape well-adapted in the southern climate, it ripens successfully with sufficient colour pigments in the skin and develops fantastic strawberry, cranberry, lush flavor profiles. Grenache oxidises easily compared to grapes like Cabernet Sauvignon due to the lack of tannins. Subtle Grenache requires lots of oxygen protection and when left on its own for too long, port profiles start to develop. This is why in the past, Grenache used to be aged in big barrels as thicker wood imparts less contact with the air. 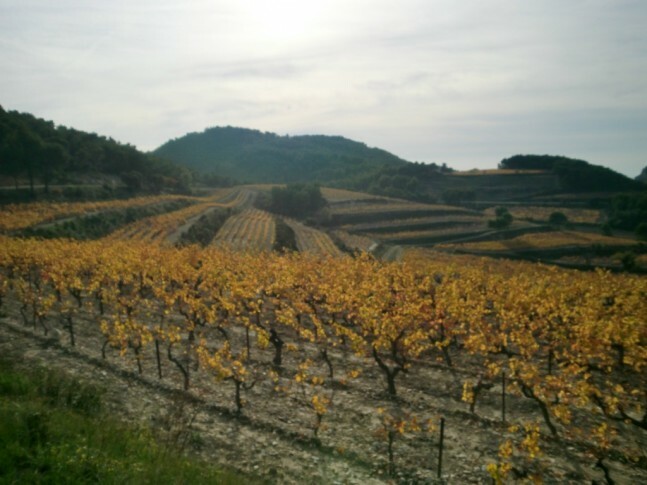 Some try to stretch Grenache to the limit by planting it all the way to the northern borders of Rhône to stress the grape more. Grenache here is sometimes planted on mountainous areas to get lower sugar levels. When Grenache is able to ripen at cool temperatures, it can produce something really amazing. From my observations of Grenache, 14 to 15% potential alcohol is normal before the grape is physiologically ripe. It is a grape that is susceptible to weather conditions. For example, in 2010, bunches of the Grenache were small as the Mistral affected the flowering badly; breaking the leaves and branches of the vines. The cold wind made the leaves dry out and closes up the stomata. This resulted in a reduction of the absorption abilities of the vine and can sometimes cause lignification of the stems. Historically, Syrah was brought down from the North to blend with Grenache for colour. Then, someone with a “clever” idea decided to plant Syrah in the south which some consider it to be too hot for the grape. Mourvèdre is an entirely different grape. It is stressed out in the northern side and needs water and sunshine to actually ripen well. It is a late ripening grape and is usually the last to ripen out of the other grapes in the Rhône. The flavour profile of Mourvèdre is significantly different from Grenache. It is spicier, full of aromas like cloves, nutmeg and cinnamon and with higher level of tannins; it is more resistant against oxidation. Mourvèdre plays a key role in giving aging potential to the wine as well as a more sturdy backbone. It is yin to Grenache’s yang. If Grenache were the expressive sister, Mourvèdre would be the introverted brother. Many vineyards in the Rhône are organic or biodynamic without much difficulty. There is no mystery to why the vineyards are able to have sustainable viticulture with minimal chemical use. The Mistral wind plays the biggest role in this. This cold, dry wind comes from the North and can come at more than 150 km/hour. This is strong enough to blow away insects and pests, dry out the grapes easily after a heavy downpour, and concentrates berry flavours, sugar and acid. Sometimes the winds are so strong that it can even damage the vines by snapping off shoots and causing problems with inflorescence. That is why the plantings here are either low or they are tied to a support. My guide, Mike Rijken is an expert of the Rhône region. Having lived in France for over 20 years, he is familiar not only with the landscape but with the secrets of the Rhône, having lived in the South of Rhône for over 13 years. Before the Rhône, Mike was a chef in Burgundy. After his Burgundy stint, he worked as Château Beaucastel’s PR manager, a winery in Châteaunuef-du-Pape which is the equivalent of first growth in Bordeaux. Currently, he is running Wine Safari, a serious wine program for both amateurs and experts alike. When he is not running wine safari, he is busy travelling Europe spreading the Gospel of Rhône through hospitality training. He is on the council of the Inter Rhône as well as the judging panel for the wine shows within the Rhône. From my personal interactions with him, I highly recommend him to anyone who wants to understand the secrets of the Rhône. He is not only affable and generous with his knowledge; he is also committed in education and has an extensive understanding of food and wine from his experience as a chef. I can think of no one better to explain the secrets of the Rhône to me. To contact Mike, visit his website at http://www.winesafari.net/. 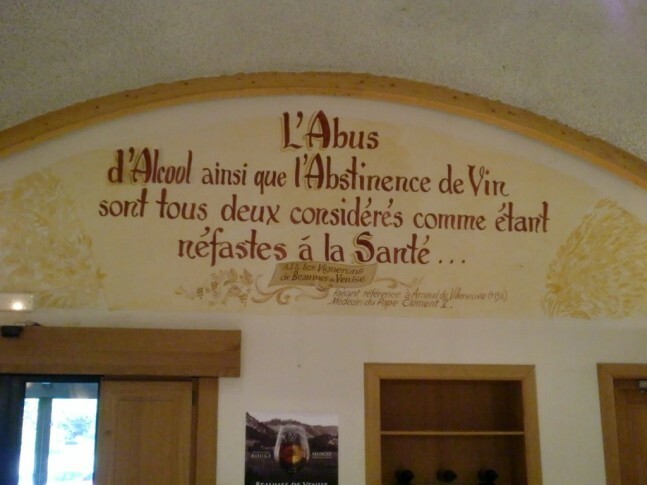 Below is a summary of his impressions of the vintage since his time in Southern Rhône. According to him, 9 out of 10 vintages in each decade are usually good. 1991: The Northern Rhône is good for both white and reds. In the south, the reds were a challenge while the whites were good. 1992: Good for whites but not reds. Big floods. 1993: Very good whites and reds. 1994: Good to very good. Varied quality. 1996: Good to very good across the board. 1997: Good for the whites. 2002: Whites were good but floods diluted the reds. 2003: Heat wave all over Europe of over 45 degrees cause issues with balance. 2004: Good to very good. Produced elegant wines. 2006: Good wines. In general, elegant and high acid. 2007: Good. Opulent and rich with moderate acid. 2011: Good volume of grapes produces this year and less sugar. Verdict has yet to be out yet.